He is the only representative from the 51s on the team. 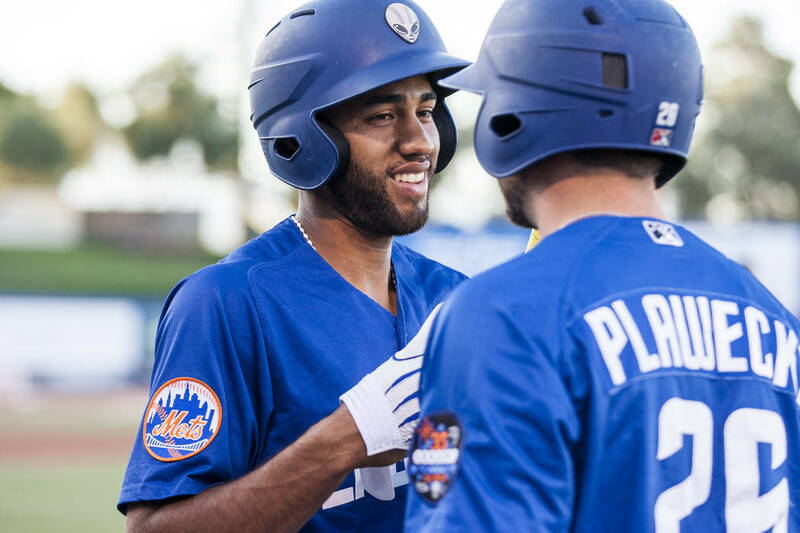 New York Mets shortstop Amed Rosario was named to the All-Pacific Coast League team Monday, an honor voted on by PCL managers, media representatives and broadcasters. Rosario, who was also a Triple-A All-Star this year, batted .328 with seven home runs and 58 RBIs with 129 hits in 94 games with the 51s this season. The shortstop, considered one of the top prospects in the league, made his major league debut Aug. 1. Since then, he is hitting .247 with four home runs in 93 at-bats with the New York Mets. First baseman Dominic Smith, who was hitting .330 with 151 hits, 34 doubles, 16 home runs, and 76 RBIs in 114 games before his call up, fell short for the league’s first base spot. Reno’s Christian Walker, the league leader in home runs (32), RBIs (112) and runs scored (101), who instead got the nod.